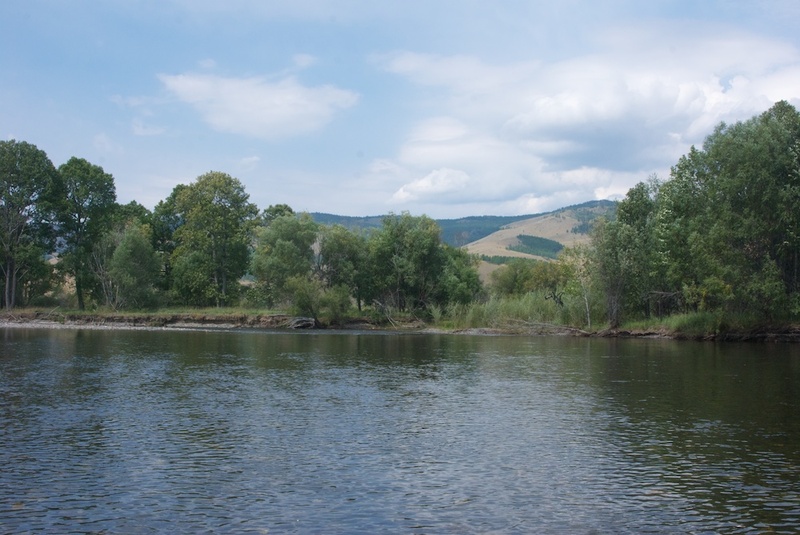 And now we come to the last leg of a wonderful two-week tour and a look at one last ecosytem, the mountain forest, which is the southermost extension of the boreal forest that circles the northern part of the Earth. 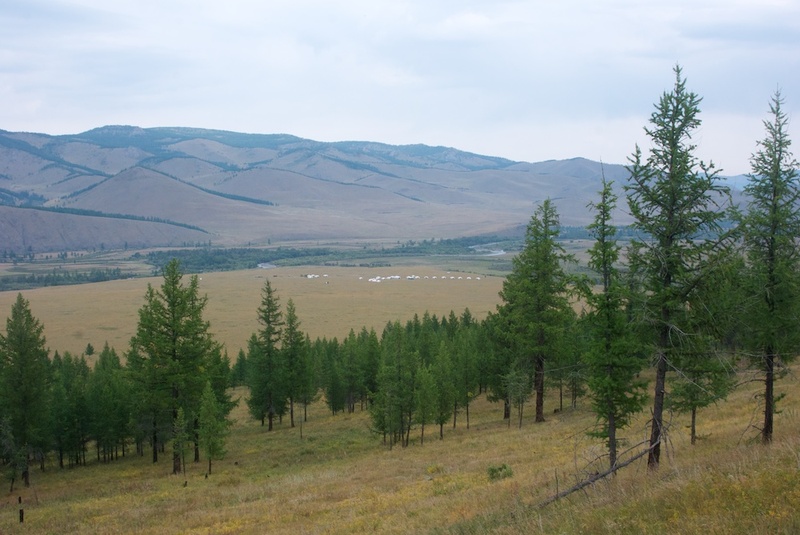 The Jalman Meadows ger camp, run on a seasonal basis by Nomadic Journeys, was set up high on a bluff overlooking the Tuul Gol. 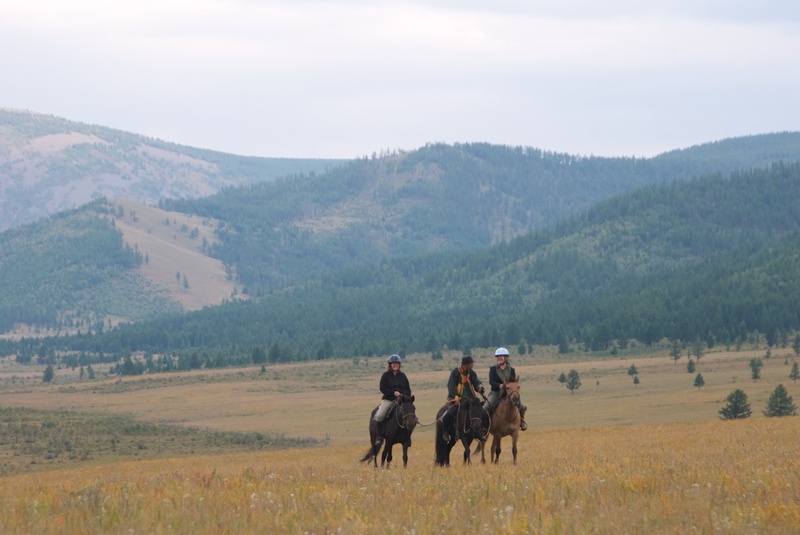 While there is wildlife around, it’s the activities one can do here that are the main attraction and we took advantage of all of them! 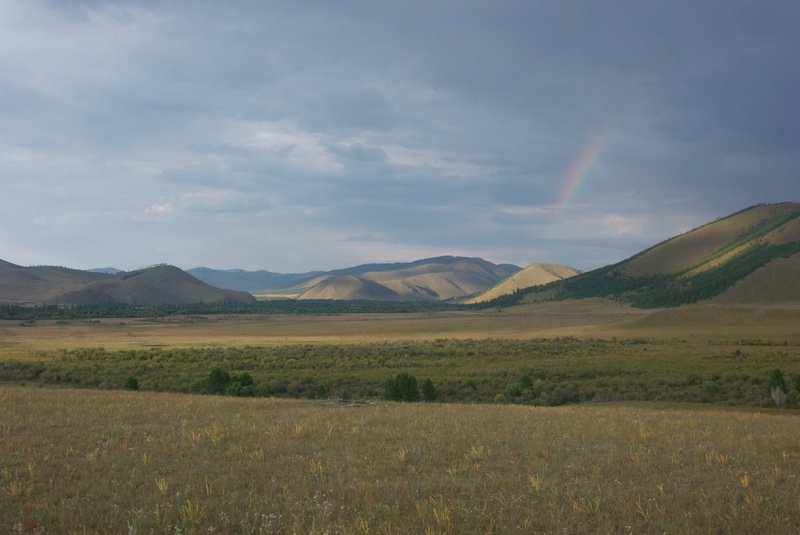 As I came out of our ger after getting settled in, this memorable scene met my eye. 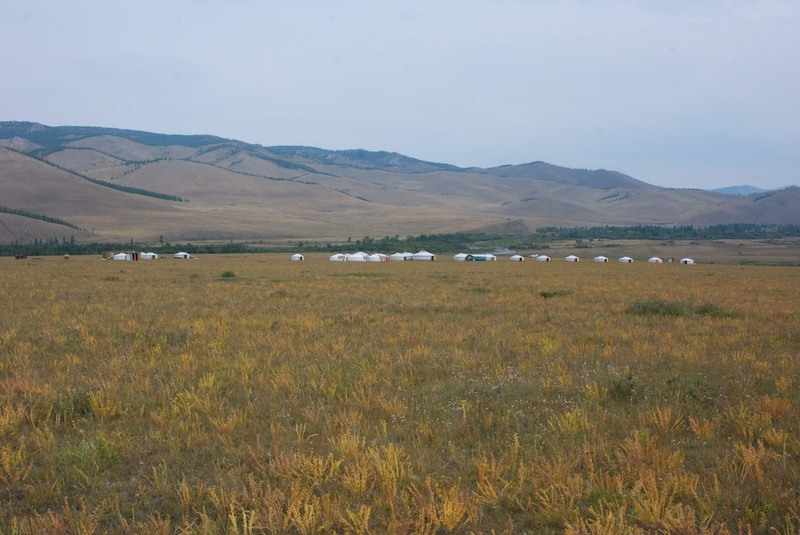 Jalman Meadows ger camp with the Tuul Gol in the background. 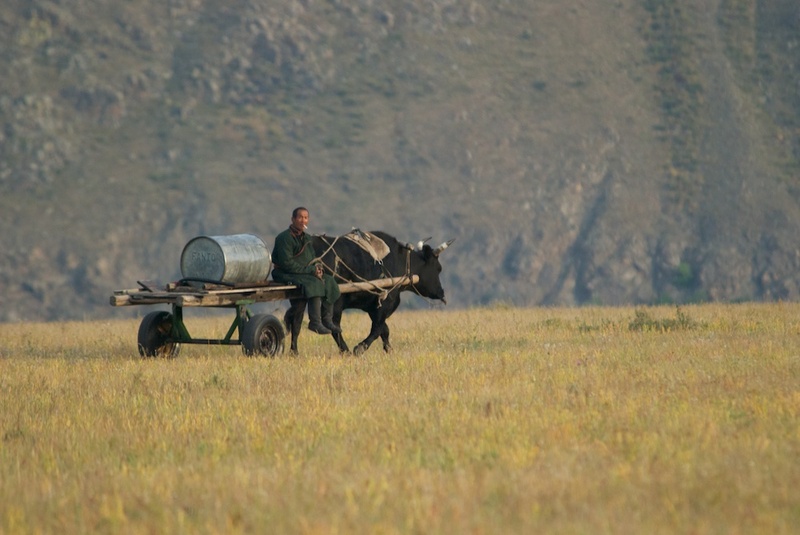 A local herder with his ox-drawn cart fetched water for the camp every day from the river. 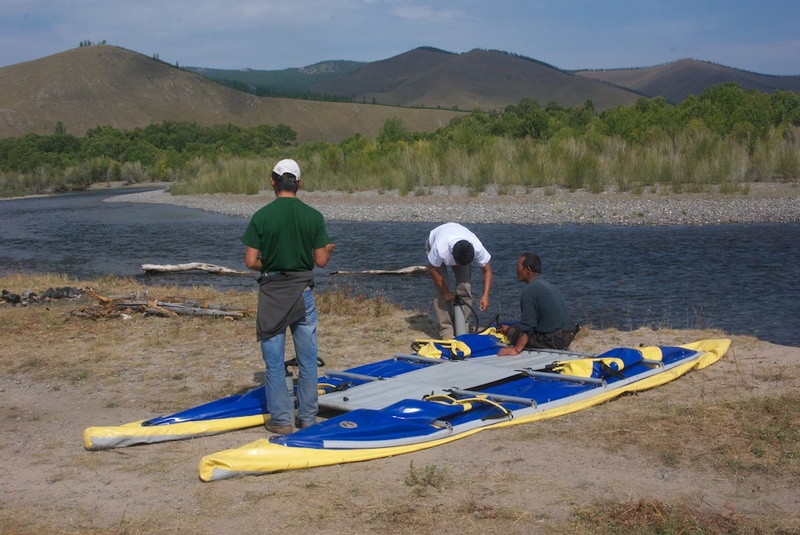 He also provided the means by which the inflatable boat on which we would take a river trip was transported. 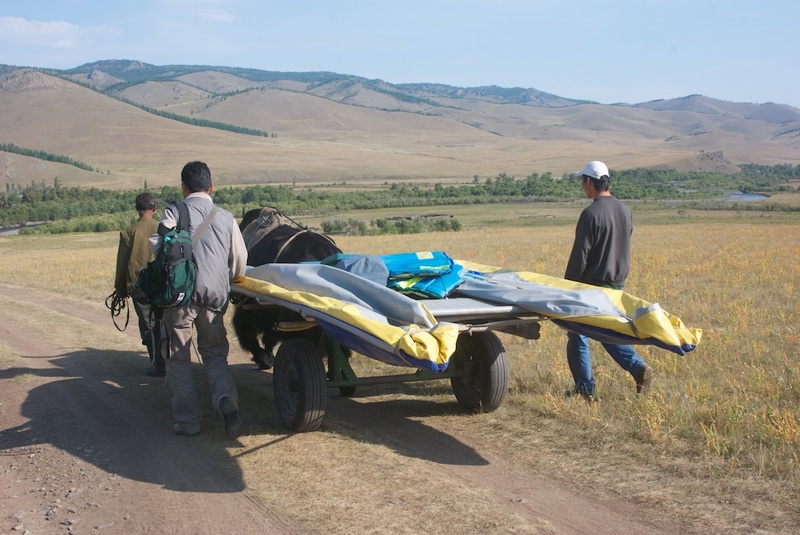 We walked about six kilometers to the launch site. 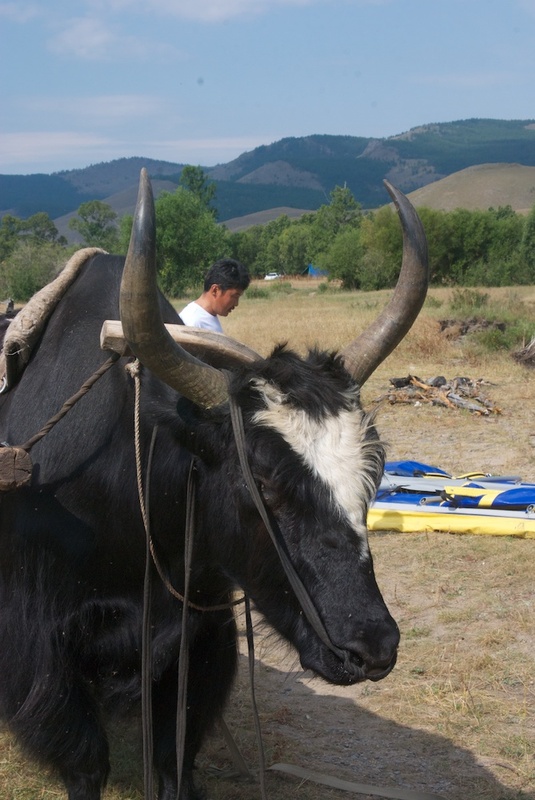 This time our "helper" was a yak/cattle hybrid called a hainag. 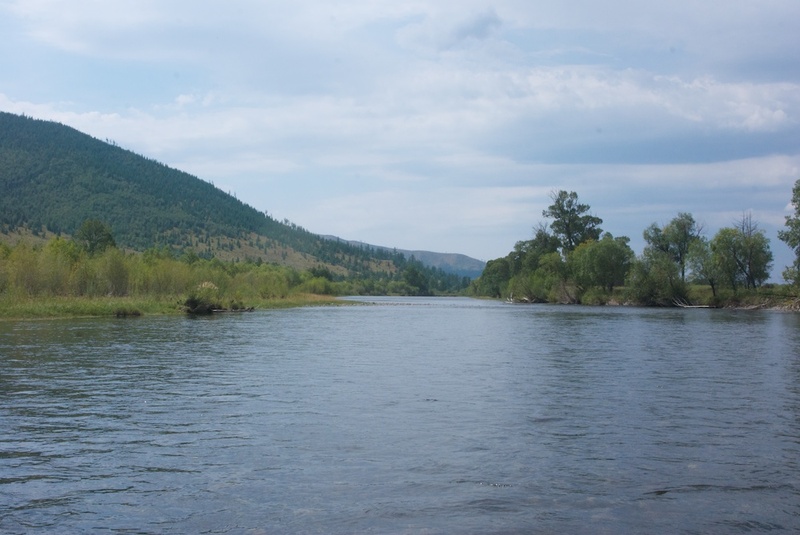 And then we were floating down this beautful river. The scenery wasn't flashy, but had a calm peacefulness. 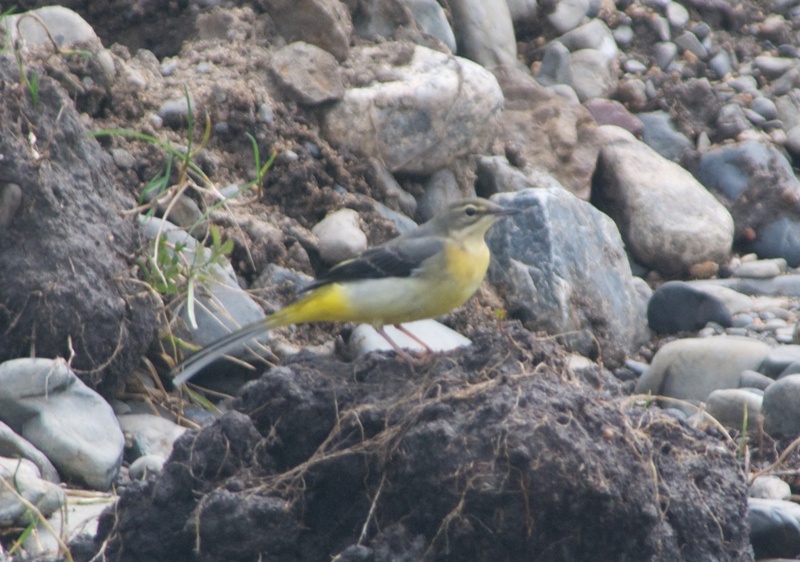 We saw a number of birds, including this grey wagtail. 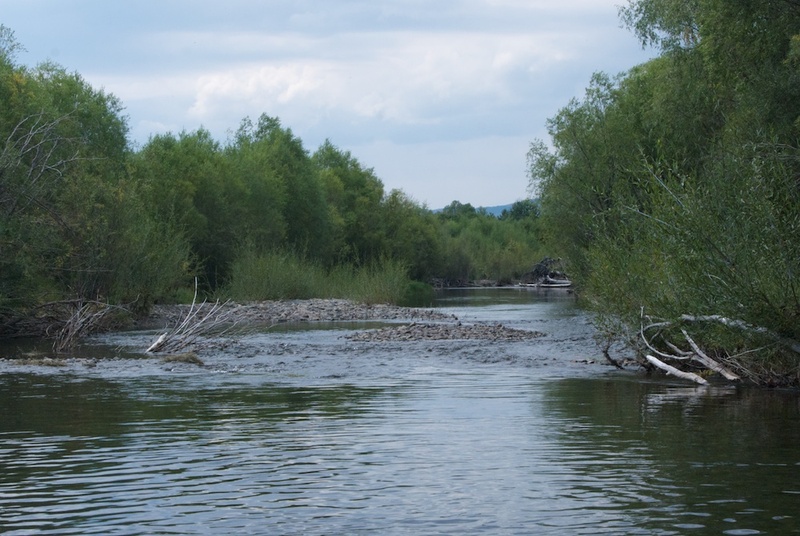 There were quite a few riffles to paddle through, which added a little excitement. 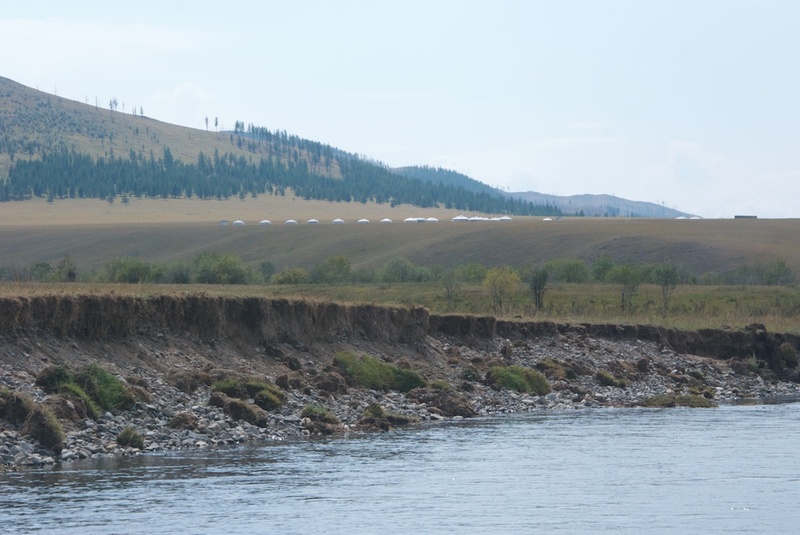 Finally, the ger camp came into view and our half-day river trip was over. In the afternoon, it was time to go riding. 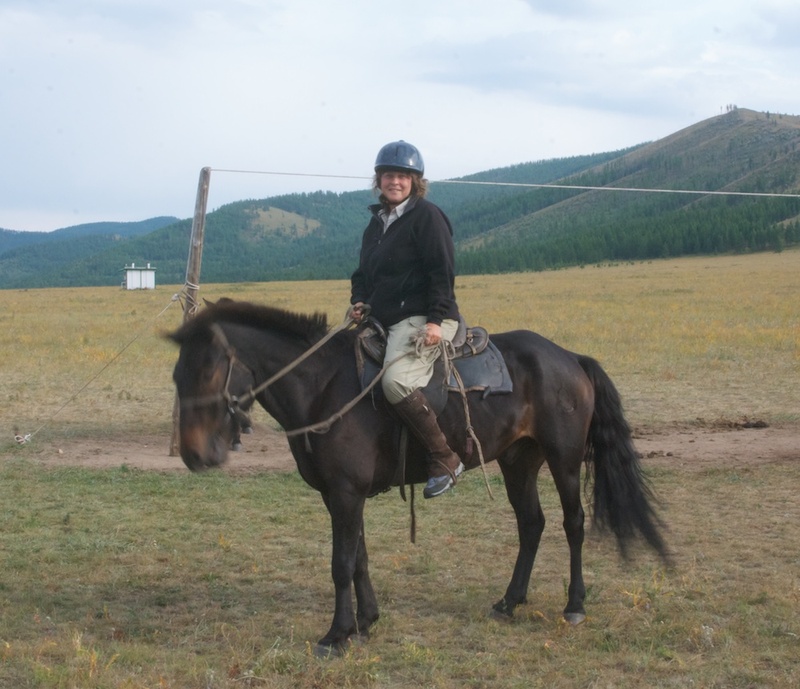 There is nothing like riding through the Mongolian countryside on a Mongol horse. The next morning there was time for a hike up onto one of the hills near the camp. We walked up through the larch trees until we got to this view. The mountain wildflowers were still blooming. 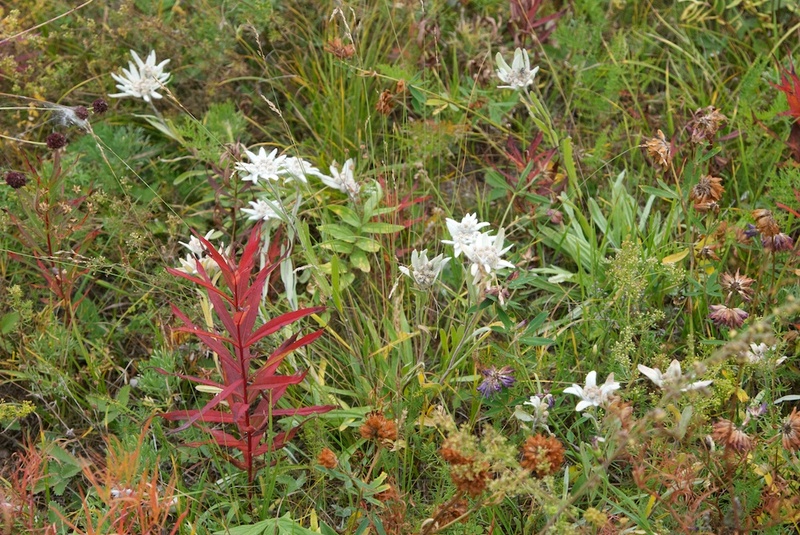 The white flowers are edelweiss. 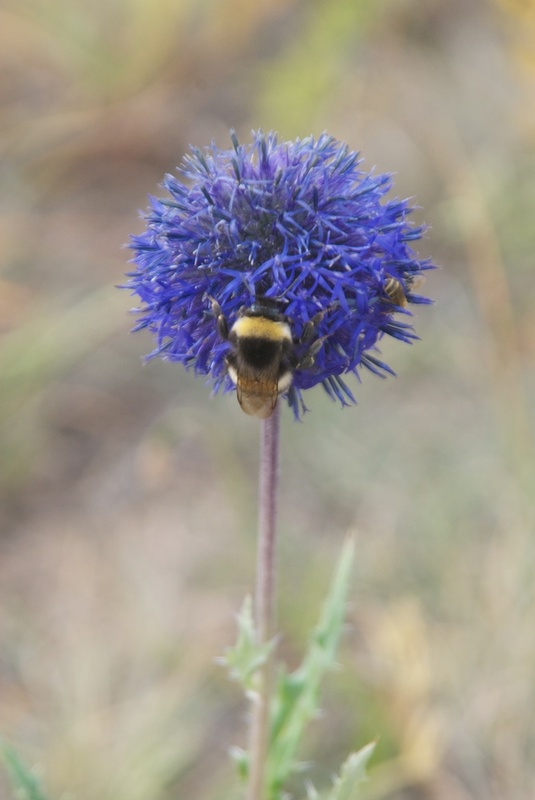 And the bees were still busy. We were packing to leave after lunch when Khatnaa stuck his head inside our ger and told us to come quickly, there was an eagle close by. 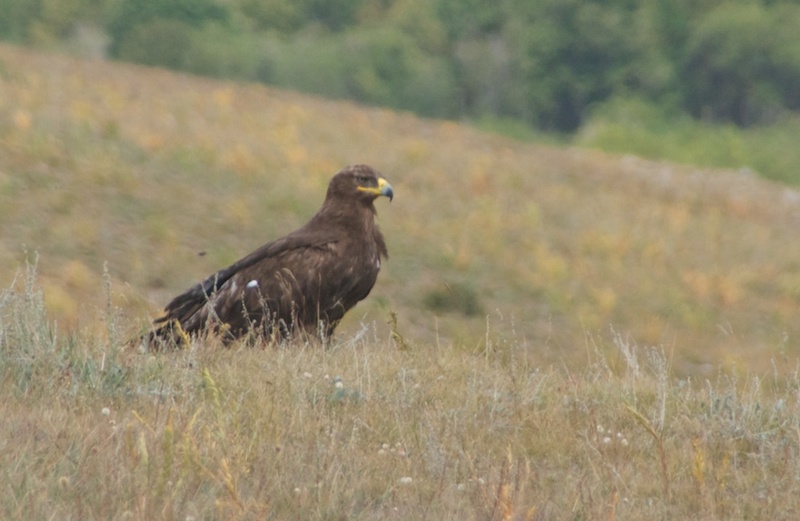 We got some great photos of this big steppe eagle. He finally took off and circled once over our heads. 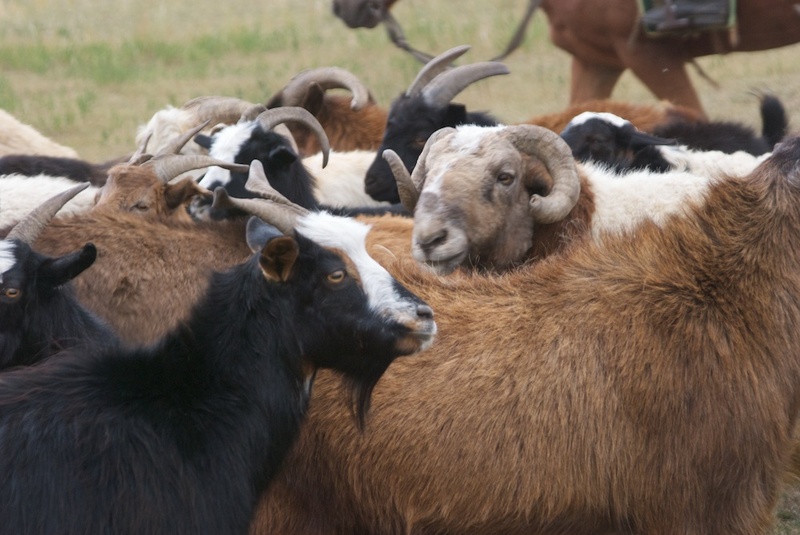 It had started to rain on and off and we needed to get down out of the mountains, but when we saw this big herd of billy goats and rams, it was photo op time. They were all sizes, shapes, colors and horn designs. 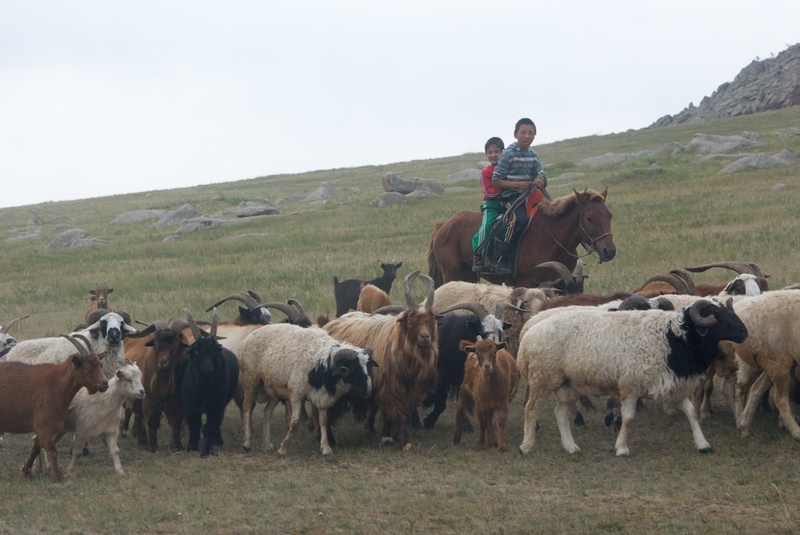 The young herder walked them back and forth past the car a couple of times, so we got lots of great pictures. 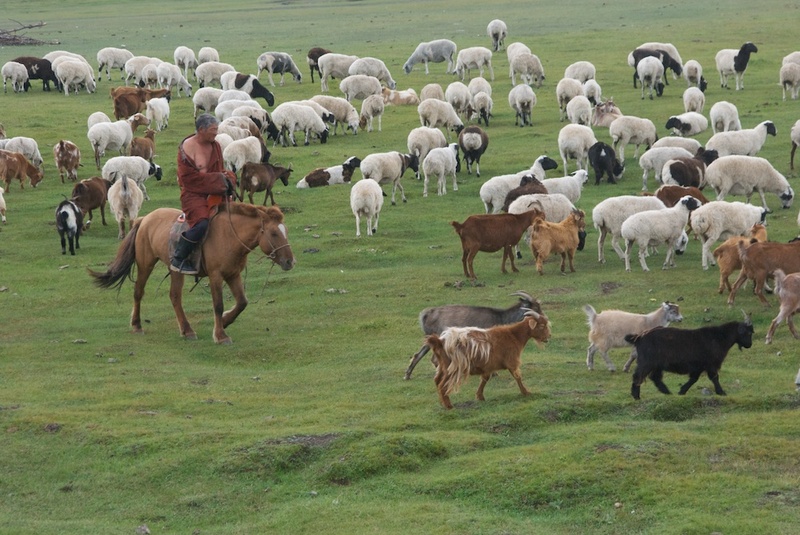 Another herder we saw, tending his animals, rain or shine. It was raining. 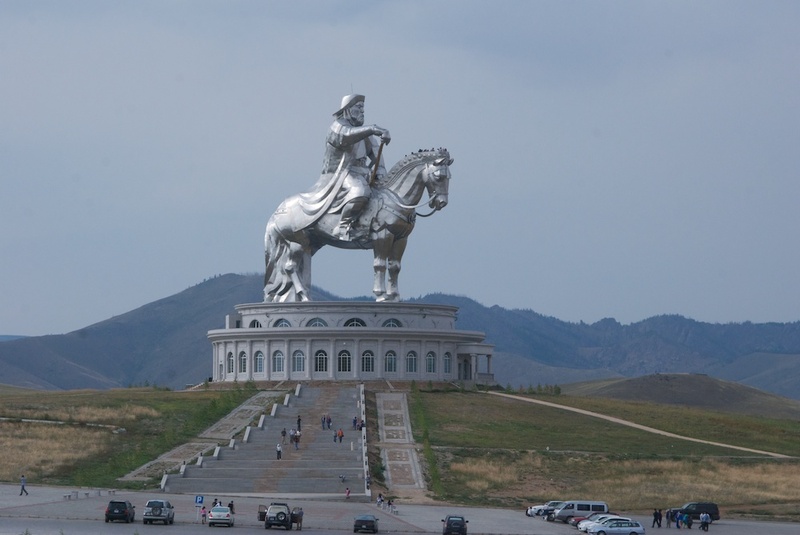 At last we approached the tarmac road, passing the spectacular statue of Chinggis Khan, facing east towards the Mongol homeland. 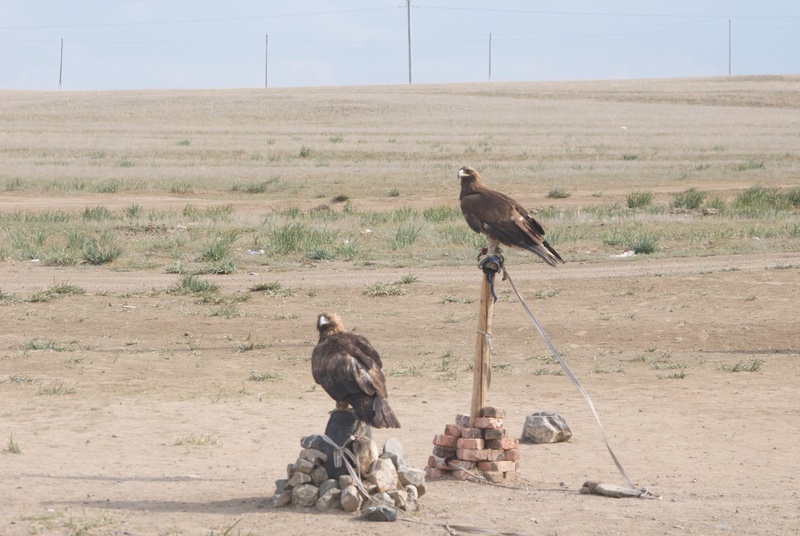 One more wildlife sighting...golden eagles belonging to local a local Kazakh. They go up into the mountains and capture the young birds, using them to hunt with for a couple years and then releasing them. 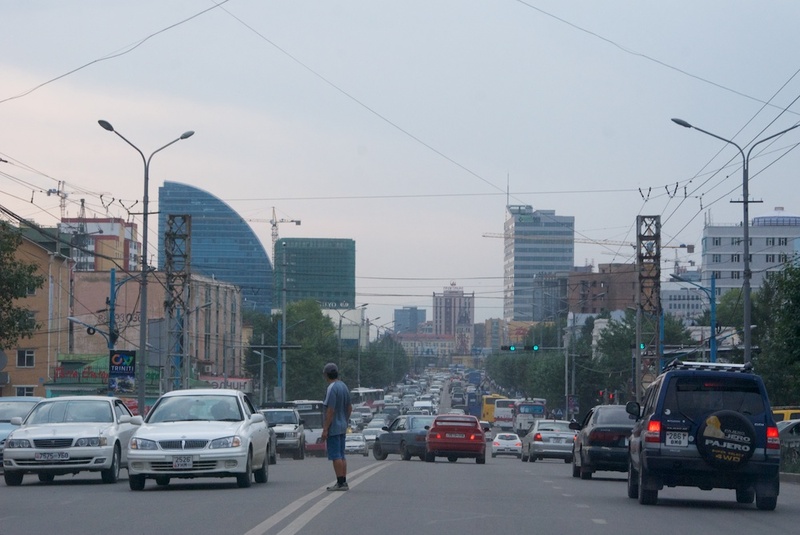 And then it was back into the wilds of Ulaanbaatar, now a city with over a million people. The noise was a shock after the quiet of the countryside. Uh oh. I’ll correct it right away. 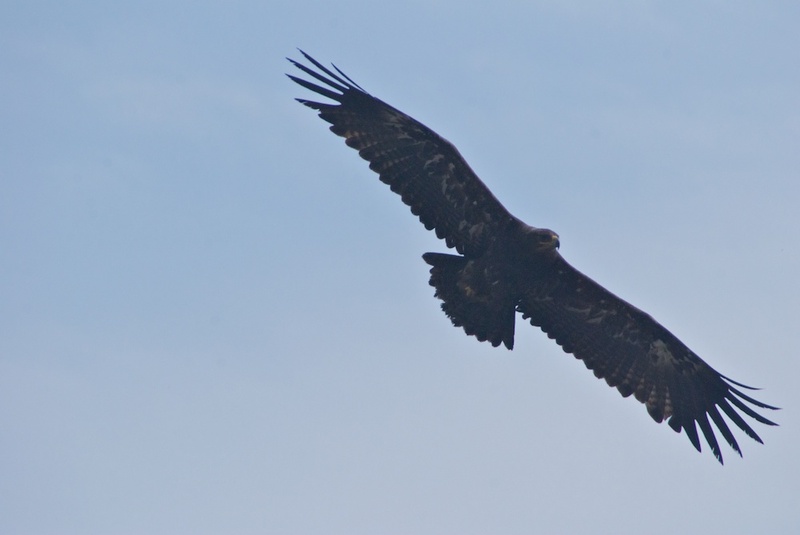 I was using “Birds of Hustai” for the ID. Thank you for taking the time to correct me.